It is with great excitement and anticipation that beginning on October 5, 2018, I am presenting Bucks County’s first Art Hotel venture to our communities of art enthusiasts far and near. With Bucks County’s already rich artistic history, its large selection of galleries, art events and festivals, the culinary offerings, the beauty of its landscape at all seasons, and its deeply rooted tradition of historic Inns, the blending of art and hospitality comes as a natural next step. In this first Art Hotel exhibition and art sale, I am thrilled to have brought together one of Bucks County’s most treasure Inns, one of the area’s most established Fine Art galleries and the works by an African American expressionist painter from Philadelphia. 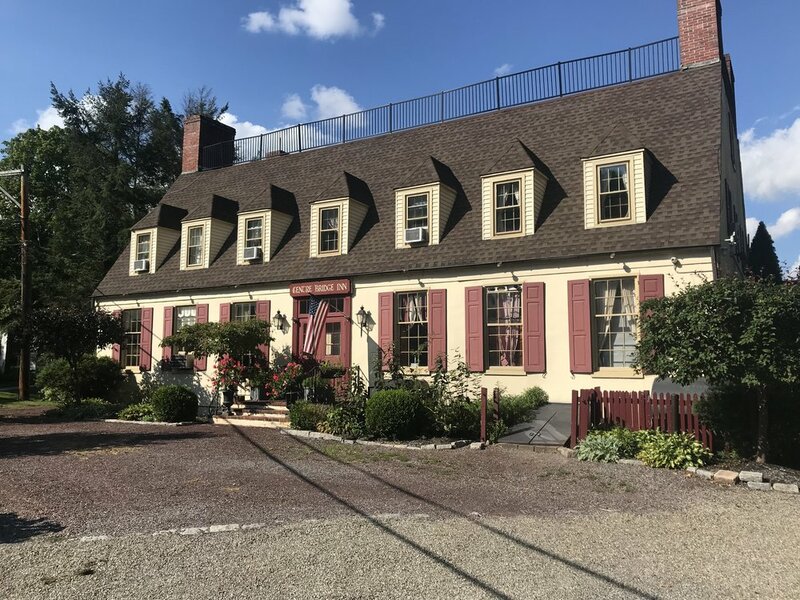 The beautiful, historic, and well established Center Bridge Inn is not only a perfect get away retreat in bucolic Bucks County, it is set in the idyllic landscape of the Delaware River, perfect backdrop for weddings, romantic dinners and overnight stays during all seasons. Their selection of eight sophisticated and tastefully decorated guest rooms already feature themed artwork by Bucks County contemporary and traditional artists. Gratz Gallery and Conservation Studio has been a leading authority on American Art, and an important member of the Bucks County art community for almost 40 years. Specializing in 19th and 20th century American paintings, with a focus on painters from the Pennsylvania Academy of the Fine Arts, Gratz Gallery offers a wide selection of Fine Art from Impressionism to Modern Art. In addition to art investment Gratz Gallery offers custom framing and fine art conservation services. Included in the gallery’s extensive selection of art, is a collection of works by African American expressionist painter Bernard Harmon. Bernard Harmon (1935 – 1989) was born in Philadelphia, Pennsylvania in 1935. Harmon was primarily a portrait painter and a well loved teacher in the Philadelphia area. He was a graduate of the Philadelphia Museum School and Temple's Tyler School of Art. Beloved by many, Harmon taught in the Philadelphia School District, at the Pennsylvania Academy of the Fine Arts, at the University of the Arts, and at Drexel University. Harmon's portraits were commissioned by Philadelphia Jazz organist Jimmy Smith and Mayor Richardson Dilworth. Bernard Harmon was considered a Renaissance man by friends and colleagues for his interests not only in art but music and theater as well. He was familiar and friends with many contemporary African American artists such as Doc Thrash, Selma Burke, Paul Keene Jr., Allen Freelon and Charles Searles. His work has a loose expressionist style that can be related to the work of Alice Kneel. When visiting the Delaware River community, stop in for dinner and a drink, listen to live music on the weekends, stay for the night, and get enchanted by the colorful art of Bernard Harmon. But don’t wait too long; exhibitions will change just as the seasons do. Gratz Gallery and Conservation Studio is located at 5230 Silo Hill Road, Doylestown, PA 18902. Gallery hours are by appointment, Wednesday – Saturday, 10am – 6pm, and Sunday 12 – 6pm.